Discover charming coastal towns, delight in the finest Mediterranean cuisine and fall in love with a culture that is passionate about the best of life, while indulging Victoria del Mar's world-class service and amenities. Upon arrival in Naples, Italy, you'll be greeted by the Captain of Victoria del Mar and transferred to the yacht where you'll receive a warm welcome. After getting settled in, relax on the sun deck with canapés and a refreshing drink as Victoria del Mar gets underway for the hour-and-a-half cruise to the enchanted island of Capri. A popular holiday destination since Roman times, Capri offers the perfect blend of natural beauty and history, culture and entertainment. 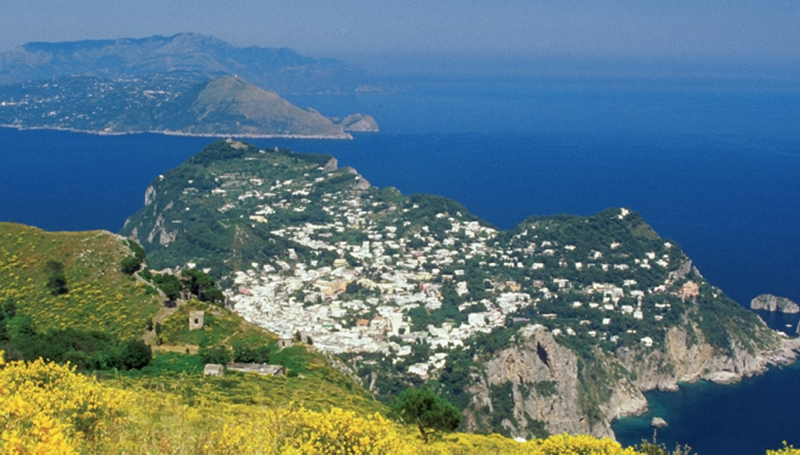 An open-air taxi ride to Anacapri, a commune located at a higher elevation, offers spectacular views and an orientation of the island. If time permits, visit the famous Blue Grotto, an underwater cave set off by a stunning iridescent sapphire blue light that must be seen to be believed. 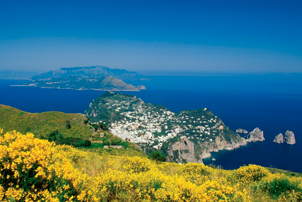 Capri boasts a wonderful selection of seaside restaurants. From the famed Il Riccio, located steps from the Blue Grotto to La Fontelina, at the base of the famous Faraglioni Rocks, to Da Paolino Lemon Trees, set in a magical lemon garden, the ambience and cuisine of Capri is one worth tasting. 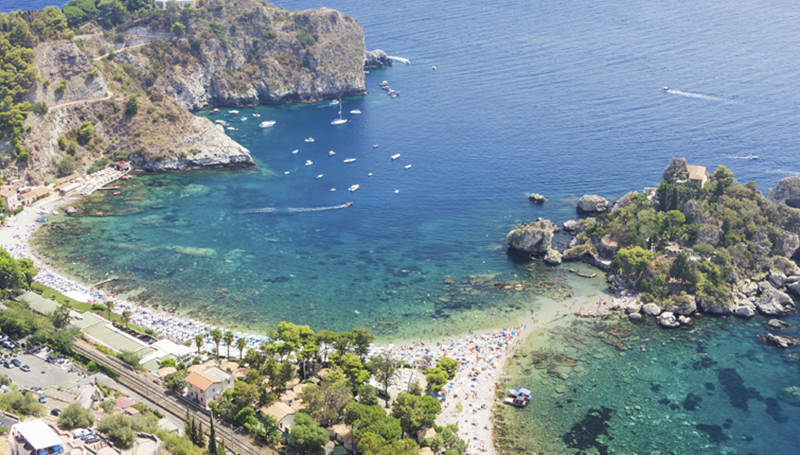 We'll arrive early on the Amalfi Coast this morning, and after a delightful breakfast of fresh fruit and fresh baked pastries, you'll set out to explore the charming coastal towns of Positano, Nerano and Amalfi. Beachgoers will enjoy Nerano, which offers coastal paths to explore the town via foot or bike and enjoy beautiful sea vistas. For lunch, head to Lo Scoglio da Tommaso on Amalfi, where the De Simone family has been delighting patrons since 1958 with plentiful dishes of the freshest local vegetables and seafood. Enjoy a stroll through the local shops or return to the yacht for an afternoon siesta and dip in the spa pool on the sun deck. In the late afternoon, you'll disembark again for cocktails and dinner at the Michelin-starred Zass restaurant, located in the infamous cliffside hotel Il San Pietro di Positano. Here you'll enjoy delicious Amalfi-inspired cuisine and breathtaking sunset views. Today is a day for exploration. 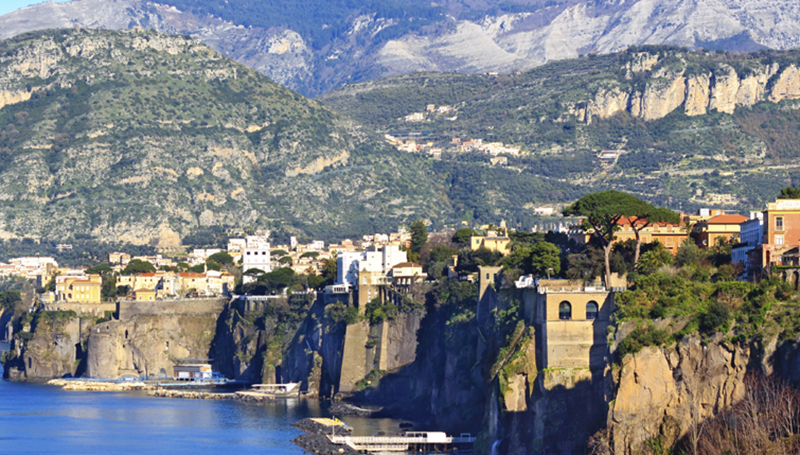 Known for its lemons and limoncello liquer, the small community of Sorrento is situated in the most picturesque of locations on one of the most beautiful coastlines in the world. Overlooking the Bay of Naples and Mount Vesuvius and the island of Capri, Sorrento offers visitors plenty of activities. 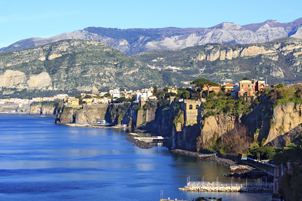 Enjoy a day of bicycling along the coastline or visit the Cathedral of Sorrento and Old Sorrento to peruse the quaint shops and trattoria. In the late afternoon, return to Victoria del Mar to relax as the chef prepares a delicious gourmet meal served in the Alberto Pinto-inspired dining room. After dinner, Victoria del Mar will get underway for the overnight passage to the Aeolian Islands. Adventure-seekers will love a visit to the famous Stromboli Island today, the tip of a vast underwater volcano whose black sand beaches and vibrant turquoise sea make for picture-perfect hiking. Spend the day exploring this captivating island by foot or bike and enjoying watersports in the crystal clear water on one of Victoria del Mar's many water toys. Dinner tonight will be served on the sun deck. Have your camera ready as the sun sets and your Captain slowly navigates Victoria del Mar around the island. 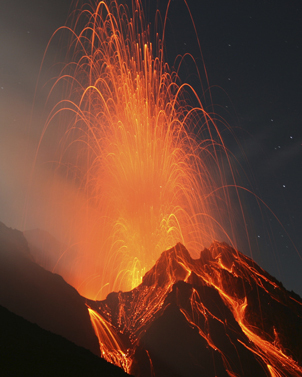 Although considered safe, the Stromboli volcano is still very much alive and the night show can be spectacular. 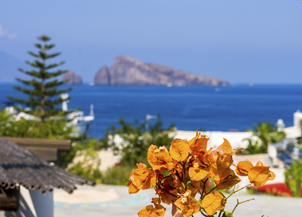 Enjoy a delightful breakfast of fresh fruit and the chef's fresh-baked pastries while cruising to the tiny island of Panarea,one of the best-kept secrets of the Italian coast. Although it is becoming increasingly famous with a growing celebrity population, Panarea remains very low key. This unique island is home to Bronze Age huts as well as Hotel Raya, the 1960s hotel that still serves as the area's pulsating night spot. Enjoy a shaved ice refreshment as you tour the island by bicycle or golf cart before returning to Victoria del Mar's anchorage for watersports and a gourmet dinner under the stars. 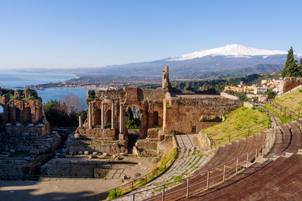 After breakfast on the aft deck, Victoria del Mar will get underway for the island of Sicily today through the Strait of Messina, the narrow passage connecting the Ionian and Tyrrhenian Seas that featured prominently in Greek mythology. Relax on the owner's deck with as you take in the Sicilian coastline, punctuated by cliff-top villages and local sword-fishing boats using hand-thrown harpoons. 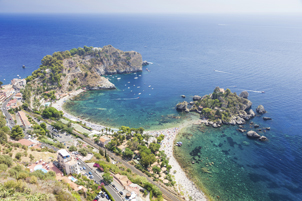 The yacht will anchor off Taormina, a small town perched on a rocky outcropping overlooking the sea. Spend the day exploring this idyllic coastal town, with its meticulously restored medieval buildings and sites and inviting shops, bars and restaurants. Sicilian enthusiasts may also wish to venture on to the town or Corleone (of Godfather fame) and, upon returning to the yacht, enjoy a viewing of the film on the sun deck movie screen. Victoria del Mar will get underway mid morning today for a cruise along the beautiful Sicilian coastline to the historic city of Syracuse. Known for its Greek history and architecture, this 2,700-year-old city was a powerful city-state in ancient times and is now designated as a UNESCO World Heritage Site. 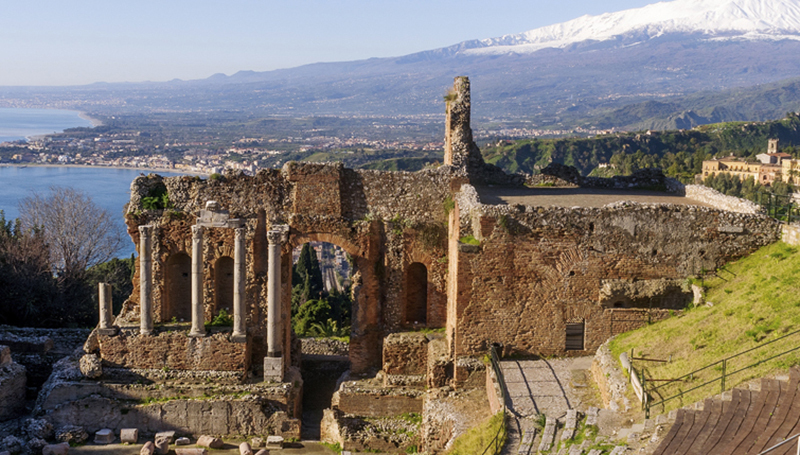 Spend the day revisiting history with stops at the ancient Greek theatre, Roman amphitheater and archeological museum. From here, an afternoon hike up Mount Etna is possible, to interface with volcanic caves and old and new lava flows overlooking the sparkling Ionian Sea below. Return to Victoria del Mar to prepare for your departure from Catania the following day and toast to your adventures and many memories made.